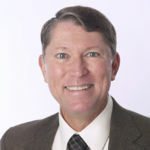 Jerry M. Burger is a Professor of Psychology at Santa Clara University. His primary research interests are in the area of social influence, especially processes related to obedience, compliance and social norms. His books include Desire for control: Personality, social and clinical perspectives, Returning home: Reconnecting with our childhood and Personality, a textbook now in its ninth edition.